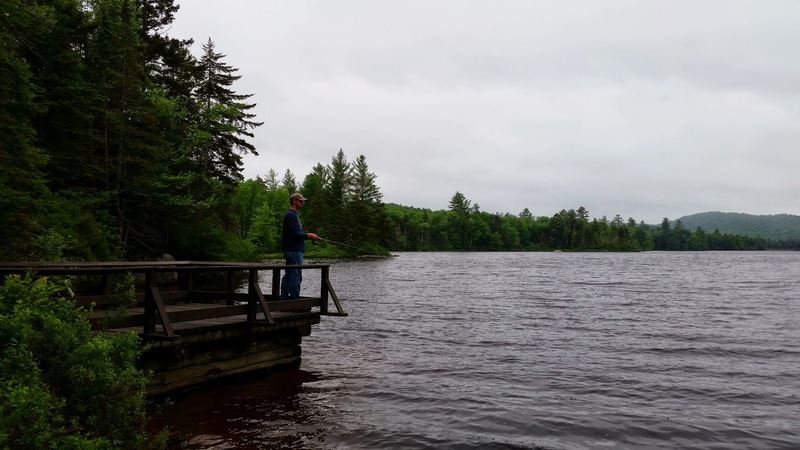 On Friday morning we drove north to the Blue Mountain Lake area of the Central Adirondacks to spend the weekend at a new-to-us state campground, Lake Durant. It is a relatively small campground (61 total sites) on a man-made lake. 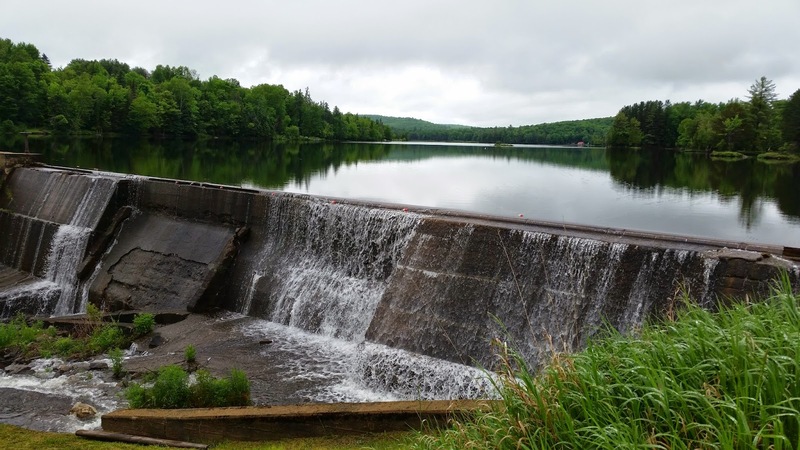 The sites are private and treed, and the lake has a very natural appearance. 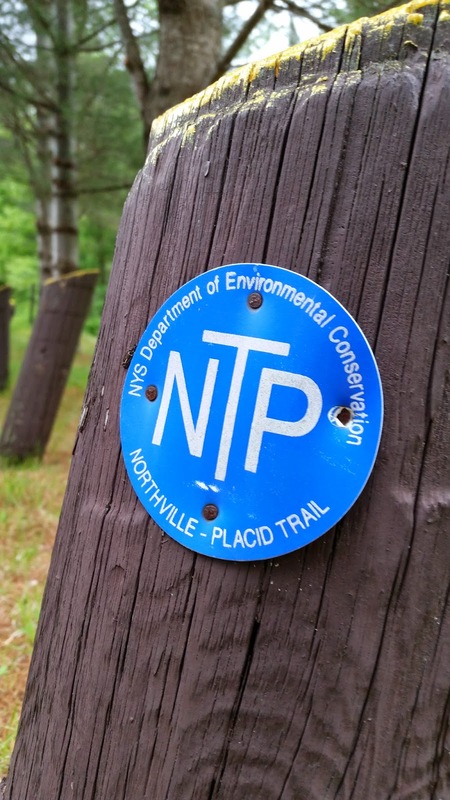 There is fishing if that is your cup of tea (it's not mine) and hiking opportunities right from the campgrounds, as the Northville-Placid Trails runs right through it. The hamlet of Blue Mountain Lake is charming, as is the nearby town of Long Lake. We like to drive around to explore the area when we're camping, and since neither of us were familiar with Indian Lake we made sure to check it out. While it offered lots of amenities like restaurants and even a (super tiny) movie theater, India Lake lacked the appeal and character of many of the other small communities we prefer. Even though the weather forecast had not called for rain on Saturday, we saw plenty of the stuff both Friday and Saturday. We were definitely glad for the protection the camper provided from the elements on this trip. Even with the rain, we had a great time. 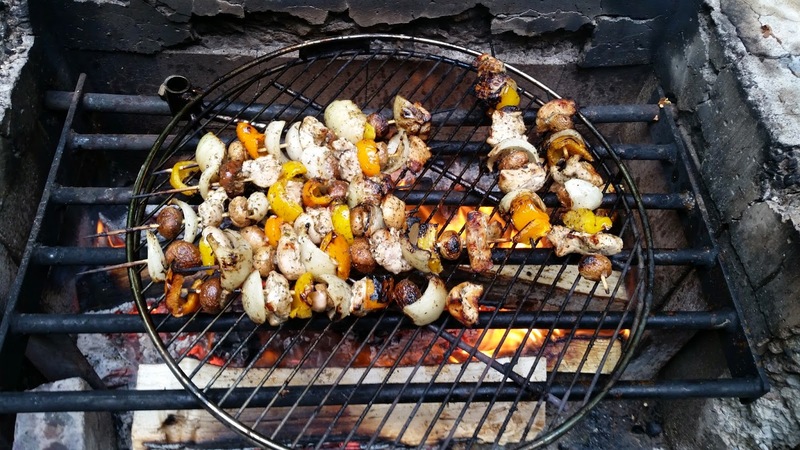 We hiked, we went to the Adirondack Museum, we even managed some meals cooked over the fire. Everything tastes better cooked over an open flame. Especially with speedie sauce. 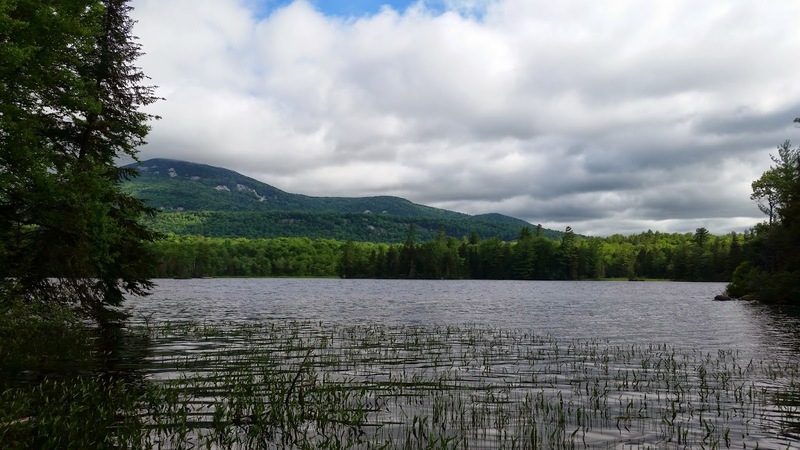 Up next: Rock Lake, Blue Mt, and the Adirondack Museum.